DALLAS,TX — (November 9, 2015) — Mohr Partners, Inc., a global corporate real estate advisory firm, announces its representation of Pediatric Imaging Partners on its new, nearly 8,000 SF imaging center located at the Dallas North Tollway and Trinity Mills in Addison, TX. Corbin Bengston and Chris Leonard in Mohr Partners’ corporate office represented their client for this transaction. 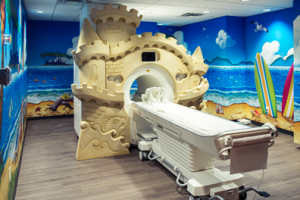 The Pediatric Imaging Center in Addison features state-of-the art equipment, as well as highly trained, board-certified pediatric radiologists and anesthesiologists. The imaging center offers its patients diagnostic imaging services, ranging from MRIs to ultrasounds. The advanced equipment at the imaging center can deliver results in as quickly as 24 hours. The imaging center also offers same-day and next-day appointments, as well as extended evening and weekend hours.